Textronics Design Systems is a leading software solutions provider, facilitating businesses in the textile designing industry. 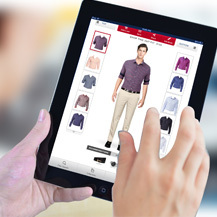 Tailor I, a bespoke e-commerce solution, helps you engage customers, boost sales and revenues. 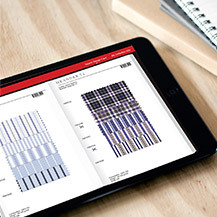 The textile design software lets you incorporate every minute detail of tailoring. 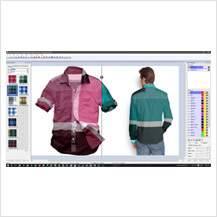 Try On is another ground-breaking solution in textile designing. 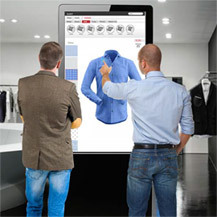 An augmented reality based virtual dressing room for retail and e-commerce platform to give customers an immerse visual connection. Designed on augmented reality principles, style ME is an innovative solution revolutionising the textile designing and fashion industry. A NextGen online 3D store that enables realistic mapping and fabric draping. A unique and innovative platform that allows users to leverage the power of web and textile designing in one. 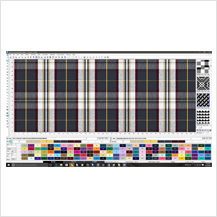 We provide a comprehensive range of CAD and CAM textile design software to a variety of textile mills, fashion and fabric designers. Design Dobby allows you to create and translate your ideas, themes, moods and concepts into real life outputs. Which means, textile designing at your fingertips! A versatile and powerful presentation tool for displaying fabric design concepts on the final application. 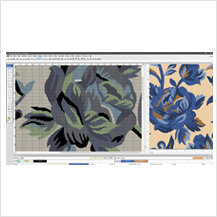 In other words, an easy-to-use textile design software! Design Jacquard is a tribute to our predecessors wherein an array of tools is provided for creating artwork interactively for a unique textile designing experience. 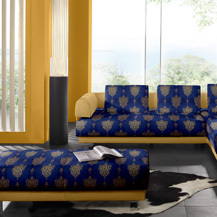 First-of-its-kind online library with thousands of fabric designs. A virtual design database to upload, store, search, retrieve and publish fabric concepts to help you with textile designing. "I have used Textronics for several months now and have been very impressed with their services. Not only is the work done in a timely manner but they are sensitive to my company's needs and gives quality feedback. I have recommended the company to others and will continue to use them on a regular basis for all of my designing needs." "Textronics Team is the best team I have ever hired. There work is extremely high quality and was done well ahead of schedule. I would highly recommend Textronics to any one looking to have a CAD/CAM solutions." "We went out to tender to various software houses for a CAD/CAM solutions and selected Textronics Design Systems specialised in CAD/CAM solutions . The Textronics software allows us to work efficiently. overall I believe the software will give us a much tighter control of the business." "We have used Textronics Archive Database for over 3 year now and I must confess that this is the most stable web+sql server hosting we have ever used! And even our non-technical users are able to obtain information from the company's database. The service here is definitely worth 20 times the price!" 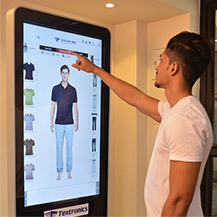 "We pride ourselves on being able to offer a comprehensive range of products at very competitive prices and with short lead times, accuracy, efficiency, and control are essential to us.installing the Textronics software, has taken us to a new level in the Textile world. The training and support we had from Textronics ensures that the implementation of the new system is a smooth and successful process - we are very pleased that we chose them as our business partner."